Trying to figure out which type of wild bird food to buy for your backyard birds? 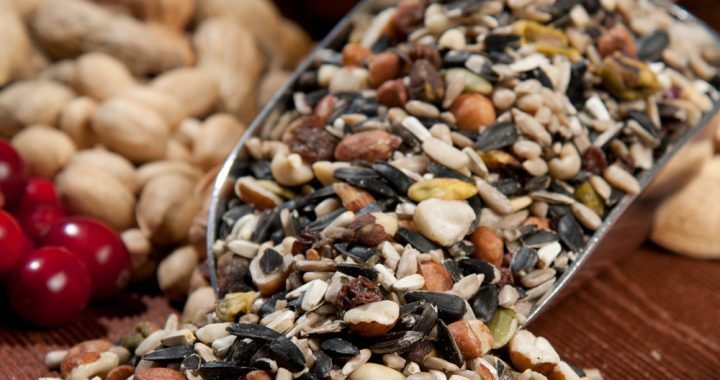 Well there are various types of bird food out there for purchase that can be specific to most bird species. For example, if you want to attract chickadees, cardinals, grosbeaks, juncos, and doves, sunflower seeds or sunflower oilers may be the way to go. It won’t attract every bird species but you will get a good variety. 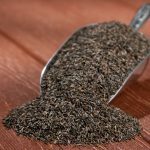 There are other types of seed too that can help attract different types of birds to round out your backyard visitors. 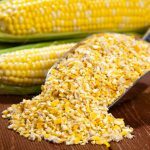 These include safflower, nyjer or thistle, cracked corn, peanuts, milo, or just a premium type of mix that has a lot of these ingredients added with fruit. Some bird seed mixes are cheaper than others. Usually the cheaper type mixes includes red millet, oats, and other “fillers” but they are not attractive to most birds. A mixed seed with these ingredients in them usually means a lot of waste because the birds just will not eat it. So make sure that you check the label on the bag for the ingredients to ensure that you are getting the best type of bird seed. In addition to the ingredients listed on the bag there usually is a list of the birds that will be attracted to them too. That way you will know for sure what you are getting. 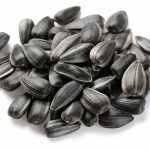 Black Oil Sunflower Seeds is considered the number 1 choice to feed and attract the greatest variety of birds to your feeders. It gives the birds the energy they need to live. The thin shell makes it an easy bird seed to open, even for the smaller birds. The most common birds that will eat this seed are the Sparrows, Finches, Redpolls, Cardinals, Grosbeaks, Titmice, Chickadees, Buntings, Sparrows, Juncos, Towhees, Robins, Creepers, and Doves. Woodpeckers will also dine on this type of seed but prefer insects, acorns, nuts, fruit, sap, berries, pine seeds and suet. There is also a striped sunflower that you can buy and is a cheaper alternative. My husband and I prefer the “oilers” as we call it because the birds prefer it over the striped sunflower. Safflower Seed is a favorite seed of the Northern Cardinal. House Finches and Mourning Doves will also feed on this type as well as Grosbeaks, Blue jays, Chickadees, Doves, Sparrows, Buntings, Titmice, and Starlings. Squirrels do not like safflower seed so they will not eat it. Keep that in mind if you are having squirrel problems. 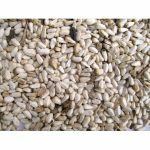 Thistle Seed or Nyjer Seed which is the same thing is a finch favorite. Goldfinches, Purple Finches and even Mourning Doves will eat this seed. However, nuthatches, Redpolls, Indigo Buntings, and Pine Siskens will also dine on it. Want to add some colorful birds to your yard? Then thistle is the way to go. This is a must have in my backyard. 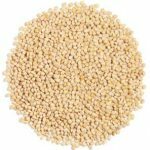 Millet is a seed used for the ground feeders such as sparrows,doves, towhees, juncos, and cardinals, quail, cowbirds, and blackbirds. Cracked Corn attracts cardinals, starlings, cowbirds, jays,crows, grosbeaks, blackbirds, blue jays, and pigeons. This is not my favorite to have in the feeders as I do not like to have the starlings, blackbirds, and cowbirds at my feeders. I guarantee they will come in huge flocks and eat up all the food. If you do not mind that then this will work for you. 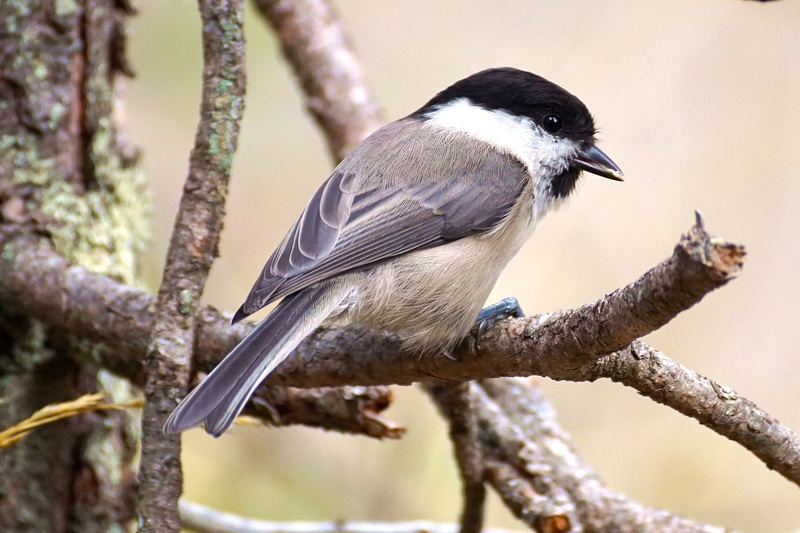 Peanuts attract jays, woodpeckers, crows, titmice, chickadees, buntings, and magpies. Regular shelled peanuts attract blue jays. Put some on your deck railing or platform and watch them come in and collect them. Very fun to watch! 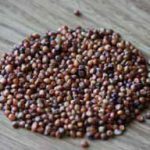 Milo, also called sorghum is a large and bulky seed and less expensive. However, it is less appealing to most bird species. Very few birds will eat milo, though it is a favorite food for doves and wild turkeys. 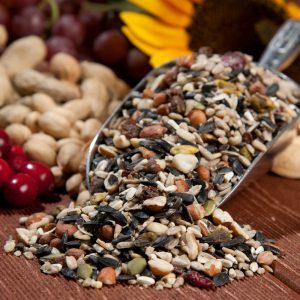 Premium Mix Bird Food has a mix with most or all of the above seeds mentioned. Included with that are different fruits, raisins, nuts, and also corn if you choose. I personally make sure that there is no corn in the mix as I do not like all of the cowbirds and blackbirds swarming in to the feeders. They still might come but not as much. 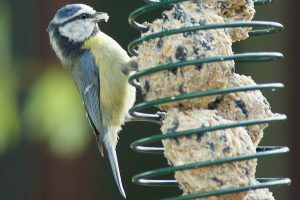 Suet can consist of fat, seeds, fruit, nuts, and insects. It comes in ball form or cake form or can be made into just about any shape to feed the birds. It is good food for most birds in the winter to help store depleted nutrients and energy. In spring it is good for increased energy in nesting birds. In summer it is good for insect eating birds especially if insects are not plentiful. In fall, it helps birds store up energy to help prepare for migration. You cannot go wrong with suet…always a crowd pleaser! Mix 1 part sugar with 4 parts water and bring to a boil to kill any bacteria or mold present. Red dye should not be added. 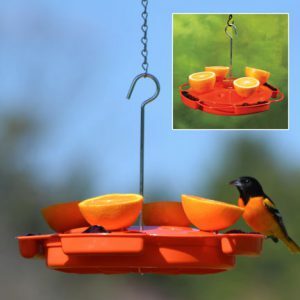 You can use the same nectar recipe that you make for Hummingbirds to attract Orioles too. 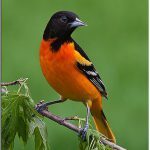 Orioles also like jelly, orange halves, and mealworms. There are special feeders that you can use for the jelly, orange halves, and mealworms. Orioles like oranges but so do Catbirds, Red-bellied Woodpeckers, Thrashers, and Tanagers. All of these birds are a delight to be able to get to your feeder. Flycatchers, phoebes, tanagers, and warblers all like meal worms that you can purchase dried in your local bird store. We use meal worms mainly in the spring time when the birds are migrating through. 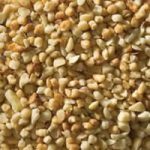 There are many different types of wild bird food that you can purchase. 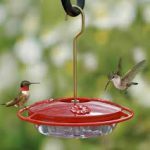 Choose the one specific to the bird or birds that you are trying to attract and consider having more than one type of bird feeder if you want a variety of species. I always get a supreme mix that includes sunflower seeds, millet, peanuts, and fruit so that more bird species come in to my feeders like the woodpeckers and spring/summer, fall/winter migrant birds. I also have a suet feeder for more woodpecker varieties, a thistle feeder for finches, and quite a few hummingbird feeders to keep the hummers coming in. What do you feed your backyard birds? Please feel free to make your comments below. I would love to hear from you! Affiliate Disclosure – I am an Affiliate of many products promoted on this website and may earn a commission if you purchase something at no cost to you. Posted in Bird Feeders, Wild Bird Food and tagged bird seed, wild bird food.